Above: Pine Ridge Falls. 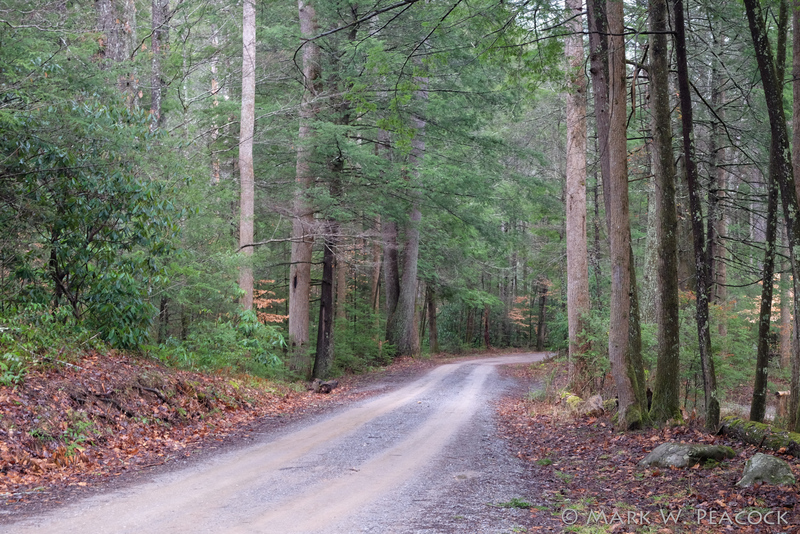 To the left is a photo of the forest service road through Clark's Creek. 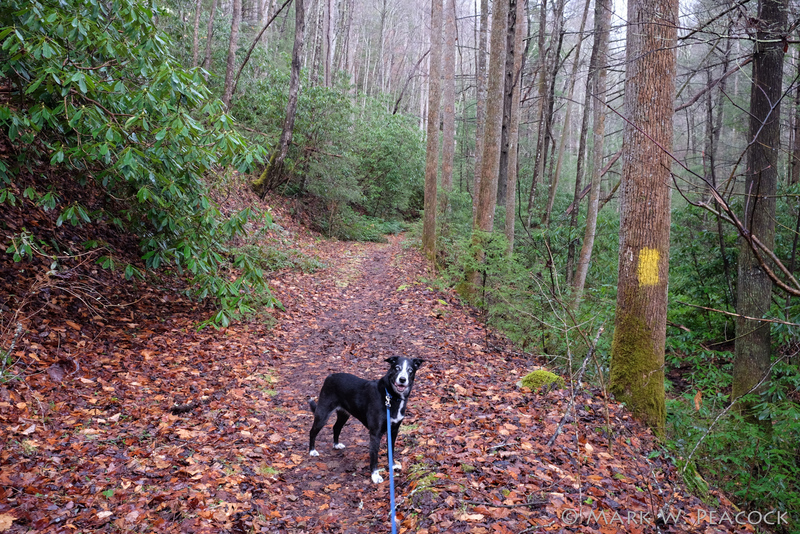 And below, a photo of Blue on the trail to the falls. Click here for directions and a full description of the hike. Occasionally I've seen this waterfall referred to as Longarm Branch Falls. Nice shot of Piney Falls! There's a (rather low flow) waterfall up near Longarm Branch trail that's called Longarm Branch falls. Hi, I just wanted to say thank you for all the work you do putting up these posts and information. 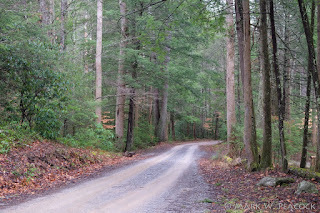 Me and my wife love to hike and we use the information on your blog all the time. I would have never discovered some of my favorite places without this blog. Thank you so much! I hiked there for tbe 3rd time April 11th. This area is so beautiful and quiet. I love going there. You will never know the impact that your blog has had on my life. We have become "outdoorsy" people thanks to you. Because of your thorough descriptions and photos, I'm no longer afraid to head into the woods. Not only am I more active, but I also have been given a whole new appreciation for this beautiful area. Thanks is inadequate. 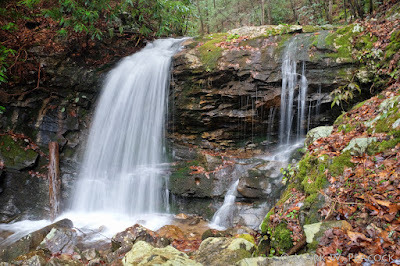 Question...we hiked Pine Ridge Falls and and Sill Branch Falls today. 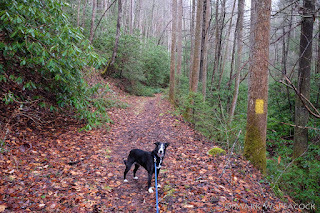 By the Pine Ridge Falls trail sign, there was a second sign and another trail that was 3.6 miles. Can you share any info about what this other trail was? We think it may have been called Longbranch, but I can't find any info by searching that. Thanks in advance! !